- Full-Day Camps for ages 7-12: 4 days, 9am-3pm starting June 25th! - Majors Baseball Camp for ages 10-12: July 15-18, 9-1 with Framingham State coach Sean Callahan. - Afternoon Camps for ages 6-10; 5 days, 12:30-3 in Boxborough. - Pitchers & Catchers Camp for ages 9-14 with coach Sean Callahan; July 22-25, noon-3. For schedules and registration visit AtBats Summer Baseball Camps. - Softball All-Skills Camps for ages 7-11: 4 days, 9am-1pm starting June 25th! - Next Level Softball Camps for ages 12-14: 4 days, 9-noon: June 25-28 and July 8-11. - Pitchers & Catchers Camp for ages 9-14 with coach Allie Hardy; July 22-25, 9-noon. - Elite Skills Camp for ages 13-17; August 14-16 with coach Jamie Millett at ABRHS field. For schedules and registration visit AtBats Summer Softball Camps. - Softball Camp for ages 7-12; April 17, 1-4 with coach Allie Hardy. $60. - Baseball Camp for ages 7-12; April 18, noon-3 with coach Brandon McAlary. $60. For details and registration visit AtBats April Vacation Camps. 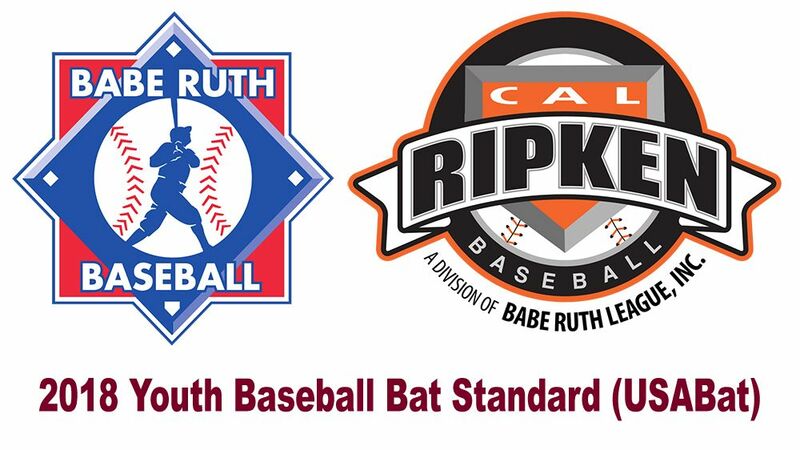 Below is an important update regarding the upcoming Babe Ruth / Cal Ripken bat rule changes which become effective on January 1, 2018. Small diamond baseball (Tee Ball - U12) - Any bats that are not stamped compliant with the USA Baseball stamp will be illegal and cannot be used in WYBSL. Softball (Pre softball - 18U) - No change to approved bats. Legal bats in 2017 remain legal in 2018. Big diamond baseball (U13 - 15) - Both the new USA standard and the BBCOR .50 are approved for 2018. 8U-13U - Starting January 1st, 2018 all bats will need to have the USA stamp on it. BBCOR bats can be used at these levels too. 14U - Divisions 1, 1A & 2 will now be a BBCOr league. (BBCOr bats do not have the USA stamp on them). All bats must have the BBCOr stamp on it, these bats are all -3. Since WYBSL is a chartered Babe Ruth organization it will adhere to the new bat rules. While the large majority of our players purchase their own bats, we will discard all league baseball bats and replace them on a limited basis for each division from the Tee Ball through U12 divisions. Additional bats may be purchased as needed during the season. Otherwise, parents should feel free to purchase bats meeting the new rules at this time. Thanks in advance for your cooperation concerning these new and important rules.